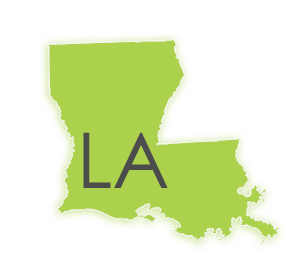 Starting with a qualified Louisiana court reporter is essential to the health of your deposition. When you elevate the bar of productivity, efficiency, and professionalism you are creating a stronger foundation from which to build. We will supply you with the most qualified Louisiana court reporter for your case. All you have to do is schedule a deposition and we will do the rest. We then provide you with a seamless platform to quickly review costs and ensure your budget is being honored at every step of the way. Discovery Litigation Services was founded by a seasoned court reporter with over twenty years of experience in the industry and can ensure a hands-on level of quality and sensitive attention to the uniqueness of every case’s requirements. If you are looking for an easier way, then you have come to the right place. Discovery Litigation Services provides you with a simple point-and-click solution to your deposition needs, housing all necessary materials, services, and tools under one easy to use platform with easy to use online case management tools. The Discovery Litigation Services online repository gives you complete access to all deposition materials anytime from anywhere. Do you need to quickly review a video? Log-in, and Click. Get easy access to your important documents and deposition footage anywhere you need to be. A key DLS tenet is that our clients receive the absolute best tools and services needed to make the successful regardless of geography. With Discovery Litigation Services high definition streaming, real-time ready court reporting we can provide you with a certified court reporter anywhere in Louisiana. The quality of professionals you have access to is no longer dictated by your geography and personal rolodex. We have court reporters experienced in a wide range of cases ready for you. Do you have someone who can’t make it to the deposition location? Maybe you just want to eliminate travel expenses all together (airfare, hotel stay, 3 meals, and time). Step into a DLS HD Videoconference and be where you need to be at a fraction of the cost of physically traversing the country. Deposing remotely does not mean you will “go without.” Our HD feeds are fully capable of transmitting all exhibits and everything you need to conduct a deposition properly. When you have highly qualified professionals working for you and the most up-to-date technology in your toolbox, you will find the rest just naturally flows. You will spend less time troubleshooting because there is already a tool readily available to satisfy that need. You will spend no time searching for competent court reporters because Discovery Litigation Services provides you with an expert Louisiana court reporter ready to work for you. You will spend a lot more time focusing on the important things in your case. Discovery Litigation Services knows you have options with your litigation services. We are here to provide superior service, all the time, every time. From finding a conference room to host your deposition to staffing it with a skilled court reporter, videographer and interpreter, Discovery Litigation Services will go above and beyond to fulfill your needs. We understand the importance of getting it done right. In our business, there is no margin for error. Call Discovery at (855) 847-0999. See for yourself why so many call us their reporting company. If Deposition Date is within 48 hours, please call 1.855.847.0999.